If you're a golf lover who finds the game never stops, you'll be excited to hear you can now book exclusive tee times online 24/7. Whether you fancy a game near to home or are planning a golfing break in the US, GolfNow.com allows you to book on to thousands of courses in North America and the UK. Forget having to call your dream golf course or fret about securing a spot when you land in the US. Simply log on and book a time which suits your schedule and budget. And you don't even have to be at your computer to book - you can do it on your mobile. 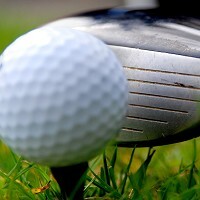 GolfNow.com offers access to golf courses from 49 US states, Canada and Ireland, and is partnered with more than 3,400 courses throughout North America and the UK. But wherever you go, you'll need comprehensive sports travel insurance to protect you against any golfing glitches. Some 35 new courses throughout the US and Canada signed up to GolfNow.com in the past two weeks alone.